While exploring the Calvert Cliffs along the western shore of Chesapeake Bay in Maryland in the US, palaeontologist Stephen Godfrey discovered a new species of prehistoric burrowing fish ... and as if that weren't cool enough, when naming the new fish, Godfrey got some inspiration from The Hobbit! Dr Stephen J. Godfrey puts gypsona bandages (the plaster type that doctors use to make casts) around a fossil fish skull. Image: John Nance/used with permission. "I wanted to name the new species after its burrowing habit, and for some unknown reason, the tunnelling Kingdom of Dwarves under the Lonely Mountain in Tolkien’s The Hobbit came to mind," explains Godfrey. "I did an online search and discovered that the Elvish name for the Lonely Mountain was Erebor! 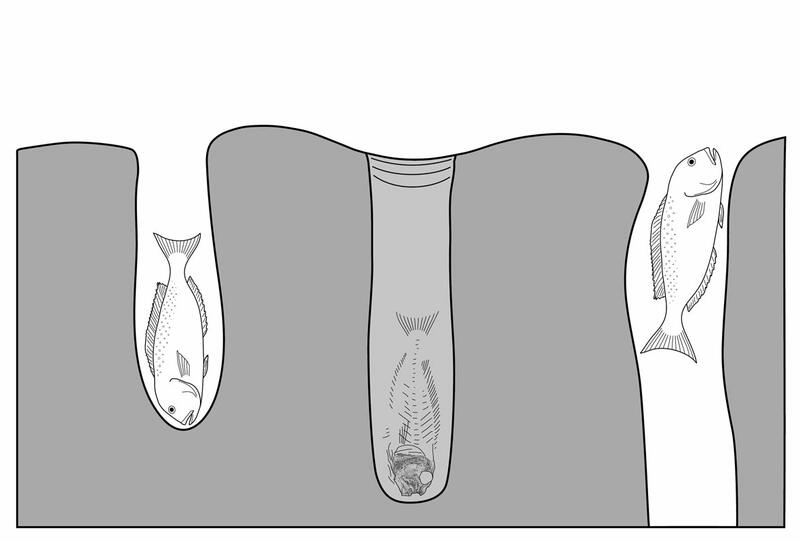 It just sounded so elegant that I had to name the fish [Lopholatilus] ereborensis." Not only does this fish have an awesomely nerdy moniker, but, at 16 million years old, it also represents the oldest member of the genus Lopholatilus ever recorded. Image: Dr. Stephen Godfrey/used with permission. "[Where we found the fossils], the sediments are not hardened. This section of Calvert Cliffs preserves more fossil fish burrows and skulls than any other section ... one can [actually] dig into them with a screw driver, which is one of our tools of choice," Godfrey says. To hide away from predators, Lopholatilus ereborensis took refuge underground in deep-sea burrows. Millions of years down the line, that sort of lifestyle often makes for great fossil finds: tunnels make good homes, but they also make good coffins that hold up to the test of time. It was these coffins that Godfrey and his team found first ... but discovering their underground inhabitants took over three decades! Godfrey's best guess is that something caused the burrows to cave in with ereborensis stuck deep inside. "It was fun for me to figure out what was making the in-filled burrows," he says. 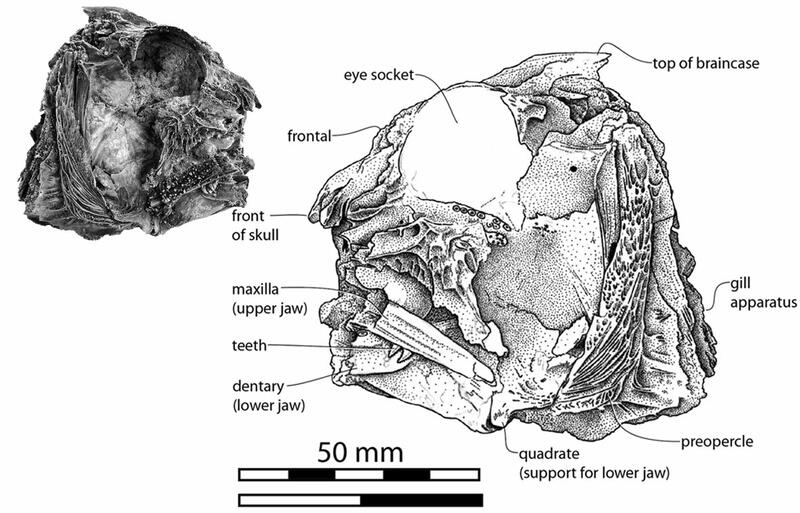 "We kept finding these fist-size fish skulls in the same beds as the burrows and tunnels. Once we figured out what kind of fish it was, and that some of their living relatives also burrow, it just clicked for me [that we were looking for] a burrow in which there was [also] a fish skull. Now we have two!" More than 600 species of fish have been identified from the Calvert Cliffs, but finding intact skeletons in the area is rare. With the help of several museums, the team was able to examine the skulls of fifteen specimens (including those they found in the cliffs) and hopes that finding more will give them a better understanding of the Tolkien fish's life. 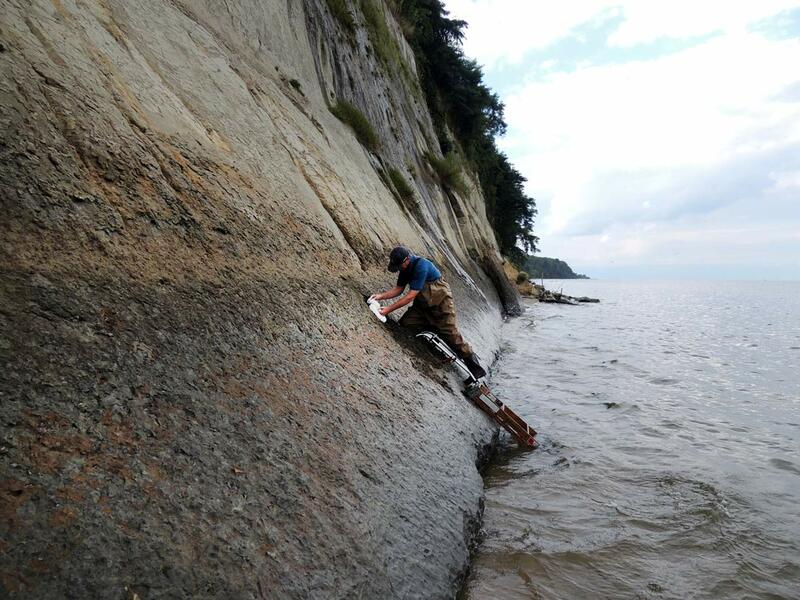 "We will continue to find and excavate the fossil fish from along the cliffs," says Godfrey In the process, we will learn more about them and who knows, probably find new fossils to name."